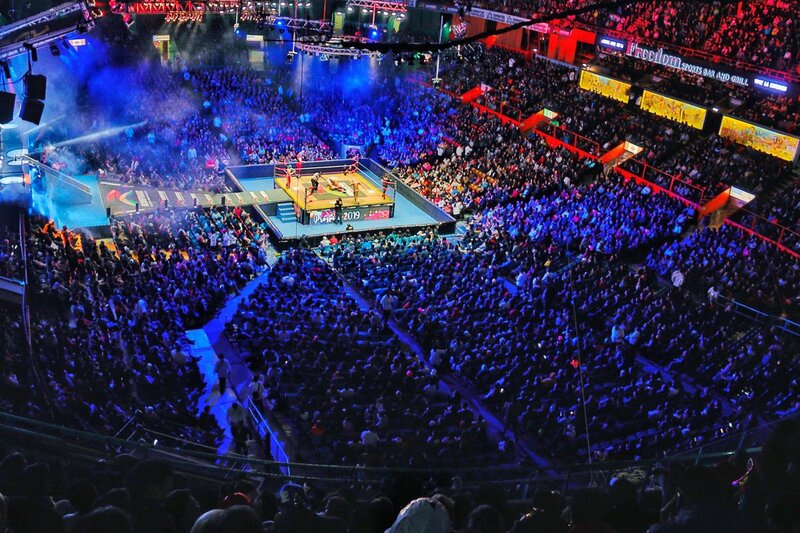 This week’s Super Friday CMLL show from Arena Mexico on paper looked like a much better card than what has recently been booked on Friday nights. The matches themselves proved the paper to be right as Friday’s show was one of the better shows in recent memory. The semi-main event saw the returning to Friday night Dragon Lee team up with Volador Jr and Mistico to take on Nueve Generacion Dinamitas (Sanson, Forastero & Cuatrero). Diamante Azul, Titan and Atlantis went up against Terrible, Rey Bucanero, Hechicero in the match before the semi-main event. However, it is the main event that draws the house in Mexico and that did not disappoint. Penta 0M debuted in CMLL by attacking Caristico back in June (thank you to @luchablog for the reminder), I forgot because it happened SIX MONTHS ago and CMLL is just getting to their big singles match now. The wait was worth it. The match started fast and heavy with the first fall ending when Caristico hit a running Canadian Destroyer (which seems to be a common move these days, like the superkick a couple years ago). The action in the second fall was always great, with tons of the heat from the Arena Mexico faithful. The finish to the second fall saw Penta 0M kick out at two, Caristico landed on Noriega (the referee). Penta then ripped his own mask off, tossed it to Caristico, Noriega saw Caristico with Penta’s mask in his hands and disqualified him, evening up the match one fall apiece. The third fall saw more of the same, fast paced, lots of heat action that first two falls saw, with near falls. The crowd was into the match really from start-to-finish but was white hot in the third fall which ended when Caristico gave Penta a little piece of his own medicine. When the referee was distracted, Caristico took off his own mask and tossed it to Penta and despite Penta’s best efforts to hide Caristico’s mask behind his back Noriega disqualified Penta and Caristico got the win, two-falls-to-one. This was one of the better main event matches in a while on Friday night.